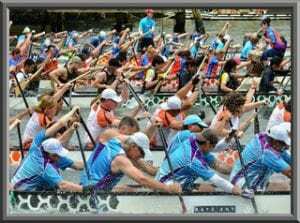 Welcome To The Australian Dragon Boat Championships, Official Accommodation Guide. 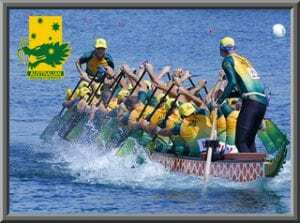 Hosted Rowing Course, Weston Park, Yarralumla. Wednesday 17th to Monday 22nd April 2019. 1 - Select your preferred accommodation option from below list. 2 - Request a Room Block using the "Aus Champs Book Form" on the right of this page. Block Your "2019 Aus Champs Accommodation" Now! Show Me The "2019 Aus Champs" Accommodation Deals! 1 - All accommodations are within a 20 minute commute of "Weston Park Rowing Course". 2 - All are "Fully Self Contained Apartments" except the Alpha Hotel which offers well priced catering. 3 - All accommodations are available to book right now "Obligation Free, First Come, First Served". 4 - No Upfront Monies will be required. Your first payment (1 night deposit per room) will be required 90 days from check-in. Cancellations prior to this are penalty free. 5 - Full payment will be required 30 days before check-in & thereafter all monies are Non-Refundable. Some rooms can sleep 5 pax (all in own beds) at $35 surcharge. As many twin rooms as required @ $170.00 per night. (2 beds). Approx 8 minutes’ to destination. Up to 12 x 2 bedroom / 1 bathroom apartments with queen bed + 2 single beds at $398 per night. *All apartments are fully self-contained with full kitchens, internal laundries & combined lounge /dining area. Approx 12 minutes’ to destination. Up to 10 x 2 bedroom / 1 bathroom apartments with queen bed + 2 single beds at $400 per night. Up to 10 x 2 bedroom / 2 bathroom lakeside apartments with queen bed + 2 single beds at $440 per night. Up to 20 x fully self-contained 1 bedroom apartments with 1 queen bed or 2 single beds at $175 per night. Up to 02 x fully self-contained 2 bedroom / 1 bathroom apartments with queen bed + 2 single beds at $195 per night. Up to 12 x 2 bedroom / 1 bathroom apartments with queen bed + 2 single beds at $330 per night. Adina Serviced Apartments Kingston – great city edge apartment hotel located in popular Kingston. Approx 10 minutes to venue & you can completely self-cater here. Up to 11 * 2 bedroom apartments featuring full kitchens, 2 separate bedrooms, 1 bathroom, lounge /dining areas + internal laundry. Tariff is $295 per apartment per night = $73 per person based on quad share. (4 king single beds). Up to 1 * 3 bedroom apartment featuring full kitchens, 3 separate bedrooms, 1 bathroom, lounge /dining areas + internal laundry. Tariff is $355 per apartment per night = $59 per person based on quad share. (6 king single beds if required). Heated in-door pool & sauna, bbq area + plenty of onsite free parking. Pinnacle Apartments Canberra – great city edge apartment hotel located in popular Kingston. Adina James Court Apartment Hotel – great apartment hotel located on Northern edge of city centre. Approx 13 minutes to destination. Apartments feature full kitchens, 2 separate bedrooms, 2 bathrooms, lounge /dining areas + internal laundry. Quest Apartments Canberra City Walk – brand new property opening Sept 2018. Up to 9 x fully self-contained 2 bedroom / 2 bathroom apartments with 4 single beds at $355 per night. Up to 10 x studio suites with kitchenette offering 1 king bed or 2 single beds at $185 per night.